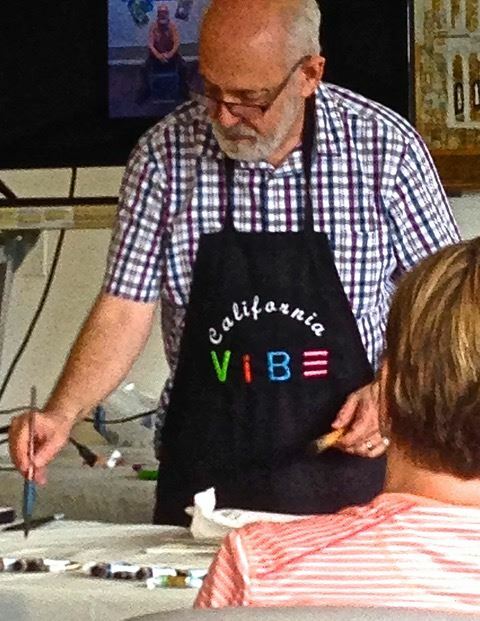 BWS - David Lobenberg's "California Vibe"
Available to Board Members who have earned a Certificate of Appreciation for each three years of service; the certificate may be redeemed for any BWS-sponsored workshop within three years of the date issued; the certificate is non-transferable. Internationally published and exhibiting fine artist David Lobenberg has over thirty-five years experience teaching both college and private art classes. 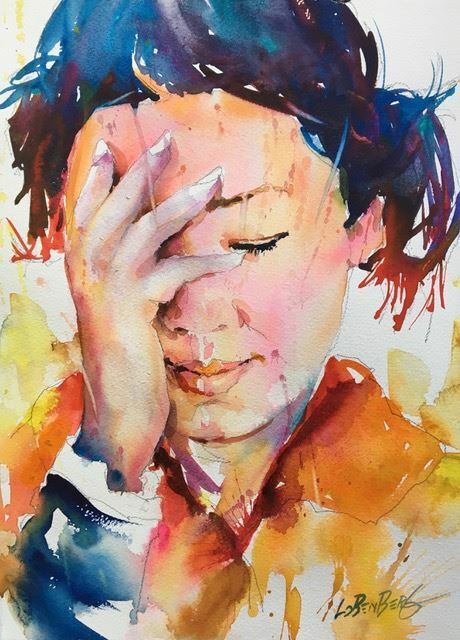 He has also established a reputation for conducting well organized, energetic, hands-on watercolor and drawing workshops across the United States and Canada. 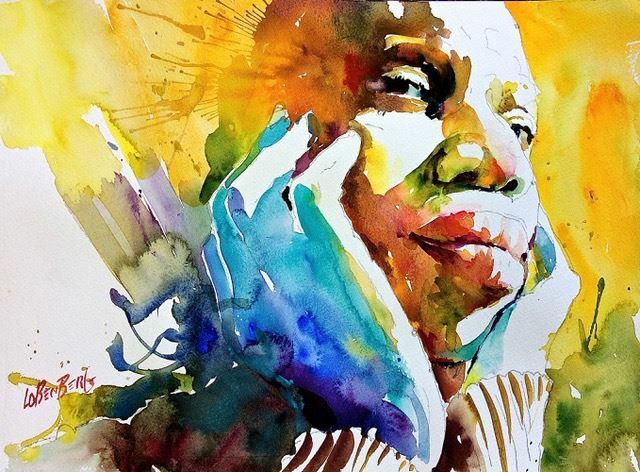 The Baltimore Watercolor Society is excited to feature internationally respected watercolor artist David Lobenberg in a four-day watercolor workshop where he will introduce watercolorists to his expressive approach to painting portraits. The workshop will begin Tuesday, June 4th and continue through Friday, June 7th 2019 at the Hawthorn Center in Columbia, MD. 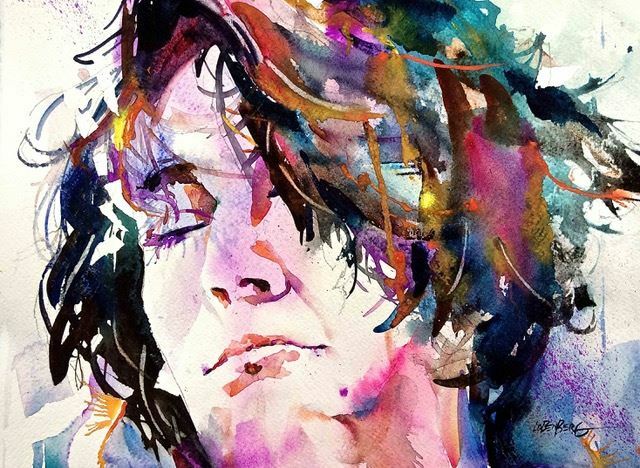 In David's California Vibe workshop, you will learn watercolor portraiture that goes beyond the norm with super expressive paint applications and wildly intense colors. 1. learning how to take dramatic, stylistic photographs with camera, smart phone, or computer pad. 5. painting 1/8 sheet (5 ½ by 7 ½ inch) “pochades” (a French word for a small painting), to quickly explore both paint application techniques and expressive color combinations. All levels are welcome but students should have an understanding of the watercolor medium. * Paint: Student or professional grade (I highly recommend using professional watercolors) tube watercolor paint such as Daniel Smith, Schminke, Holbein, Winsor Newton, Mission Gold, etc. Colors: Payne’s Gray, a bright lipstick red such as Opera or Permanent Rose, Alizarin or Crimson Red, Cad. Yellow and or Cad.Yellow Light, Burnt Sienna, Raw Sienna, Burnt Umber, Ultramarine blue, Cobalt Blue, Phthalo Blue (or Peacock Blue), Cerulean Blue, Turquoise Blue Light, plus any other bright colors that you would want to throw into this mix. * A #12 or #16 round watercolor brush. I suggest a combination natural and synthetic hair. Don't go too cheap!...this size brush is a real workhorse. * A small # 6 round watercolor brush. * A soft graphite drawing pencil (can simply be a soft Ticonderoga office pencil). * Two sheets or more of 140lb. Arches (or any other Professional grade – I like Fabriano extra white) cold press watercolor paper (NOT cold press rough!). We will be mostly painting on quarter sheets (11 by 15 inches). * A good size rectangular plastic palette with paint wells around the outside and a good size mixing area in the inside. The palette should measure about 10"x16". There are various manufactures of these palettes, but they are all around this size and configuration. * Half to one-inch wide 3M blue painter’s tape or any other masking tape that can keep out water but will not harm the watercolor paper when pulled off (only if you want straight edges around your painting when you are done). * A box of Mr. Clean (Original) Magic Erasers. *One big round straw or big round Flexi Straw. *One stick of white conte crayon. * A roll of absorbent kitchen paper towels, absorbent cloth or sponge to soak up extra water on your brush. *Something to hold about a quart of water. I love Mijello brand water that holds about 1 Liter of water. The price for the workshop is $475 for BWS members (Signature Artists and Associates) and $550 for non-BWS members. Please pay online if possible; The payment system allows the use of your Credit Cards. Otherwise, checks should be made out to Baltimore Watercolor Society and mailed to Sabine Yeager at the address below. Please enter the name of the workshop on your check. Confirmation of your registration will be sent upon receipt of your check or online sign-up. Checks must be received within 5 days of registration to be considered as registered. Remember that these workshops fill up very quickly. When filled, you can register on the waiting list. BWS maintains a workshop waiting list. When openings occur, BWS fills the openings from the waiting list on a first-come, first-served basis. BWS adds names to the waiting list according to the date and time . Paid registrants who cancel on or before May 21st will receive a full refund less a $25 cancellation fee if the spot can be filled from the waiting list. If the spot cannot be filled, the amount refundable is 80% of the workshop price. Paid registrants who cancel after May 21st will receive a full refund less a $50 cancellation fee if the spot can be filled from the waiting list. If the spot cannot be filled, no refund will be given.